met zijn eeuwige rampen gevreesd en gehoord. is heard and feared, spelling disaster eternally. Piet Hein captured the Spanish Silver Fleet off Cuba in 1628. Multatuli 2 (Latin: 'I have carried, suffered much') was the pen name of Eduard Douwes Dekker 2 who resigned from his position in the colonial bureaucracy of the Dutch Indies (now Indonesia) in protest over the exploitation of the indigenous population, in particular the free hand given local rulers in dealing with their subjects. Multatuli's 1860 novel Max Havelaar is a slightly fictionalized account of his experiences. It is still considered one of the best, if not the best book in Dutch literature. His sentences are a bit long, but his language is very lively. The book's first paragraphs introduce the dour narrator of the first chapters Batavus Droogstoppel . Douwes Dekker's spelling is a bit idiosyncratic. For instance, he writes koffi for koffie, and Y for IJ, like in myn for mijn. I am a dealer in coffee, and live at 37 Lauriergracht. Ik ben makelaar in koffi, en woon op de Lauriergracht no 37. I am not in the habit of writing novels, or things like that, and it has taken me some time, before I took the step of ordering a few extra reams of paper, and started the work that you, dear reader, have just picked up, and that you should read if you are a coffee dealer, and also if you're something else. Het is myn gewoonte niet, romans te schryven, of zulke dingen, en het heeft dan ook lang geduurd, voor ik er toe overging een paar riem papier extra te bestellen, en het werk aan te vangen, dat gy, lieve lezer, zo-even in de hand hebt genomen, en dat ge lezen moet als ge makelaar in koffi zyt, of als ge wat anders zyt. Not only that I've never written something like a novel, but I don't even like to read things like that, because I am a businessman. Niet alleen dat ik nooit iets schreef dat naar een roman geleek, maar ik houd er zelfs niet van, iets dergelyks te lezen, omdat ik een man van zaken ben. For years already I've wondered what the good of those things is, and I'm amazed at the impudence of poets and novelists spinning their tales of things that never happened, and usually cannot really happen. Sedert jaren vraag ik my af, waartoe zulke dingen dienen, en ik sta verbaasd over de onbeschaamdheid waarmede een dichter of romanverteller u iets op de mouw durft spelden, dat nooit gebeurd is, en meestal niet gebeuren kan. If I in my business -- I am a dealer in coffee, and live at 37 Lauriergracht -- would make a statement to a 'principal' -- a 'principal' is a seller of coffee -- that contained just a few of the fictions that constitute the main part of poems and novels, he would switch to Busselinck & Waterman right away. Als ik in myn vak -- ik ben makelaar in koffi, en woon op de Lauriergracht no 37 -- aan een principaal -- een principaal is iemand die koffi verkoopt -- een opgave deed waarin maar een klein gedeelte der onwaarheden voorkwam, die in gedichten en romans de hoofdzaak uitmaken, zou hy terstond Busselinck & Waterman nemen. They are dealers in coffee like me, but there's no need for you to know their address. Dat zyn ook makelaars in koffi, doch hun adres behoeft ge niet te weten. Therefore, I will not write novels or make other false statements. Ik pas er dus wel op, dat ik geen romans schryf, of andere valse opgaven doe. I have often noted that people who are engaged in such things usually end up badly. Ik heb dan ook altyd opgemerkt dat mensen die zich met zo-iets inlaten, gewoonlyk slecht wegkomen. I am 43 years old, and I have been going to the Exchange for twenty years, so I can step forward, if an experienced person is called for. Ik ben drie en veertig jaren oud, bezoek sedert twintig jaren de beurs, en kan dus voor den dag treden, als men iemand roept die ondervinding heeft. I have already seen many companies fail! (literally: 'houses fall') Ik heb al wat huizen zien vallen! And usually, when I looked into the causes, I thought the reason was the wrong direction given to most people in their early years. En gewoonlyk, wanneer ik de oorzaken naging, kwam het me voor, dat die moesten gezocht worden in de verkeerde richting die aan de meesten gegeven was in hun jeugd. I say: truth and common sense, and I stick to that. I take The Holy Writ as an exception, of course. Ik zeg waarheid en gezond verstand, en hier blijf ik bij. Voor De Schrift maak ik natuurlijk een uitzondering. What in heaven's name could that old man have had in mind pretending to worship my sister Truitje with her sore eyes, or my brother Gerrit who was always touching his nose? Wat drommel kon die oude heer bewegen zich uit te geven voor een aanbidder van myn zusje Truitje die zere ogen had, of van myn broêr Gerrit die altyd met zyn neus speelde? But I've never met Van Alphen. He had already passed away, I think, when he told us that my Dad was my best friend - I liked Pauweltje Winser better, who lived next door in the Batavierstraat - and when he told us that my little dog was so grateful. We had no dogs, because they're not clean. Maar ik heb Van Alphen nooit gezien. Hy was al dood, geloof ik, toen hy ons vertelde dat myn vader myn beste vrind was - ik hield meer van Pauweltje Winser, die naast ons woonde in de Batavierstraat - en dat myn kleine hond zo dankbaar was. Wy hielden geen honden, omdat ze zo onzindelyk zyn. Everything and all lies! And that's the way children are brought up. Alles leugens! Zo gaat dan de opvoeding voort. The woman selling vegetables has brought the new little sister in a large cabbage. Het nieuwe zusje is van de groenvrouw gekomen in een grote kool. All Dutchmen are brave and noble. Alle Hollanders zyn dapper en edelmoedig. The Romans were glad that the Batavians didn't kill them. De Romeinen waren bly dat de Batavieren hen lieten leven. The Bey of Tunis would get a colic when he heard the snapping of the Dutch flag. De Bey van Tunis kreeg een kolyk als hy het wapperen hoorde van de Nederlandse vlag. The duke of Alba was a monster. De hertog van Alva was een ondier. The low tide, of 1672 I think, lasted a little longer than usual, especially to protect Holland. De eb, in 1672 geloof ik, duurde wat langer dan gewoonlyk, expres om Nederland te beschermen. Lies! Holland is still Holland because our old folks took good care of business and had the true religion. That's what it is. Leugens! Nederland is Nederland gebleven omdat onze oude luî goed op hun zaken pasten, en omdat ze het ware geloof hadden! Dàt is de zaak. The Batavians (Batavieren) were a Germanic tribe that rose up against Roman rule. A hundred years later, John Adams negotiated with the Barbary Pirates and paid them protection money to leave American shipping alone, which Arab nations now proudly present as the first foreign recognition of the United States. As described by Barbara Tuchman in The First Salute, when on November 16, 1776 Governor de Graaff of the Dutch Carribean colony of St. Eustatius ordered his lieutenant Ravené to return the salute of the U.S. warship Andrew Dorea, it was the first foreign recognition of the new American Flag and Nation. Call me old-fashioned. 'The duke of Alba ...' the Spanish Governor in the early years of the Dutch Revolt. 'The low tide of 1672 ...' Holland was attacked by England, France and two German bishopries in 1672. And then, other lies turn up later. A girl is an angel. The person who first discovered that never had any sisters. En dan komen later weer andere leugens. Een meisje is een engel. Wie dit voor het eerst ontdekte, heeft nooit zusters gehad. Love is bliss. One flees with one or another object to the end of the earth. The earth has no ends, and Love like that is crazy too. Liefde is een zaligheid. Men vlucht met het een of ander voorwerp naar het einde der aarde. De aarde heeft geen einden, en die Liefde is ook gekheid. Nobody can say my married life is not good - my wife is a daughter of Last & Co, coffee brokers - nobody will be able to find fault with our marriage. Niemand kan zeggen dat ik niet goed leef met myn vrouw - zy is een dochter van Last & Co, makelaars in koffi - niemand kan iets op ons huwelyk aanmerken. After our wedding we made a little trip to The Hague - she bought flannel there for undershirts I'm still wearing - and beyond that love has never pushed us into the wide world. So: all silliness and lies! Toen we getrouwd zyn, hebben wy een toertje naar Den Haag gemaakt - ze heeft daar flanel gekocht, waarvan ik nog borstrokken draag - en verder heeft ons de liefde nooit de wereld ingejaagd. Dus: alles gekheid en leugens! And would my marriage be less happy than that of people who got TB or lost their hair for love? En zou myn huwelyk nu minder gelukkig wezen, dan van de mensen die zich uit liefde de tering op de hals haalden, of de haren uit het hoofd? Or do you think my household is a little less well organized than it would have been, had I 17 years ago told my girl in poetry that I wanted to marry her? Of denkt ge dat myn huishouden iets minder wel geregeld is, dan het wezen zou als ik voor zeventien jaar myn meisje in verzen gezegd had dat ik haar trouwen wilde? Madness! Yet I could have done this as well as any other, for writing poetry is a craft, certainly less difficult than turning ivory. Gekheid! Ik had dit toch even goed kunnen doen als ieder ander, want verzenmaken is een ambacht, zeker minder moeielyk dan ivoordraaien. 'Artis' is a club that also runs the Amsterdam zoo. (De) borstrok is actually a second undershirt. I still wore them in Winter as a child, but it already felt old-fashioned then. Multatuli writes biljard with D, but the usual spelling is with T: biljart. I have nothing against poetry in itself. If you want to organize your words, that's fine with me. But do not say anything that is not true. Ik heb niets tegen verzen op-zichzelf. Wil men de woorden in het gelid zetten, goed! Maar zeg niets wat niet waar is. The weather is fine and the clock says nine. I can accept that if the weather is really fine and it's really nine o'clock. 'De lucht is guur, en 't is vier uur.' Dit laat ik gelden, als 't werkelyk guur en vier uur is. The fine weather forces the versifier to the hour of nine; any other hour the weather can't be fine. De verzenmaker is door de guurheid van de eerste regel aan een vol uur gebonden. Het moet voor hem juist een, twee uur, enz. wezen, of de lucht mag niet guur zijn. It's not only poetry that makes youth stray from truth. Go visit a theatre, and listen to the kind of lies told there. En niet alleen die verzen lokken de jeugd tot onwaarheid. Ga eens in de schouwburg, en luister dáár wat er voor leugens aan de man worden gebracht. The hero of the piece falls into the water and is rescued by a person about to go bankrupt; he then gives him half his fortune. That cannot be true. De held van 't stuk wordt uit het water gehaald door iemand die op 't punt staat bankroet te maken. Dan geeft hy hem zyn halve vermogen. Dat kan niet waar zyn. When my hat was blown - Frits says blowed - into the Prinsengracht sometime ago, I gave a dime to the man who brought it back to me, and he was content. Toen onlangs op de Prinsengracht myn hoed te-water woei - Frits zegt: waaide - heb ik de man die hem my terugbracht een dubbeltje gegeven, en hy was tevreden. Of course I should have given a little more if he had picked up my person from the water, but certainly not half of my property. Ik weet wel dat ik iets meer had moeten geven als hy myzelf er uit gehaald had, maar zeker myn halve vermogen niet. For it's clear that in that way you'll be a beggar when you fall into the water twice. 't Is immers duidelyk dat men op die wys maar tweemaal in 't water hoeft te vallen om doodarm te wezen. As a truthful man, I want it to be known that I'm not going to pay such a high rescue fee for getting my person out of the water Ik, die van waarheid houd, waarschuw ieder dat ik voor 't opvissen van myn persoon geen zo hoog bergloon betalen wil. If a small gratuity is not enough for you, leave me there. Only on Sundays I would give a little more, because I'm wearing my special watch-chain and formal suit. Wie met minder niet tevreden is, mag me laten liggen. Alleen zondags zou ik iets meer geven, omdat ik dan myn kantilje ketting draag, en een andere rok. Nescio (Latin: 'I don't know') was the pen name of J.H.F. Grönloh , who early in the 20th Century wrote three novellas and a series of sketches that I think are the finest Dutch writing ever; he revealed his real name about twenty years after publication of his first work because it had come to be attributed to someone else. De Uitvreter is a person who lives off other people - a parasite. I thought 'scrounger' has the same kind of unpleasant tone. Nescio's work is usually published in the spelling of the early 20th Century; I took the liberty to modernize the spelling to make it easier for my students. Nescio uses the colloquial -ie ('he') and writes it with single I, for instance: als-i. Most Dutchmen would write this as: als-ie or als hij. Behalve de man, die de Sarphatistraat de mooiste plek van Europa vond, heb ik nooit een wonderlijker kerel gekend dan de uitvreter. The scrounger, who was lying in your bed when you got home late in the evening, dirty shoes and all. The scrounger, who was smoking your cigars, filling up on your tobacco and burning your coal and looking through your cabinets and borrowing your money and wearing your shoes and who put on your coat when he had to get home through the rain. De uitvreter, die je in je bed vond liggen met zijn vuile schoenen, als je 's avonds laat thuiskwam. De uitvreter, die je sigaren oprookte, en van je tabak stopte en je steenkolen verstookte en je kasten nakeek en geld van je leende en je schoenen opdroeg en een jas van je aantrok als-i in de regen naar huis moest. The scrounger, always ordering things in other people's names; drinking Duch gin like royalty on the sidewalk tables of café 'Hollandais' at the people's expense; who borrowed but never returned umbrellas; who heated Bavink's secondhand stove until it burst; who wore his brother's double collars and lent out Appi's books, who would travel abroad when once more he'd gotten some money off his old man, and never paid for the suits he wore. De uitvreter, die altijd wat liet halen op de naam van een ander; die als een vorst jenever zat te drinken op 't terras van 'Hollandais' voor de centen van de lui; die parapluies leende en nooit terugbracht; die een barst stookte in de tweedehands kachel van Bavink; die dubbele boorden droeg van z'n broer en de boeken uitleende van Appi, en buitenlandse reizen maakte als-i z'n ouwe heer weer had afgezet, en pakken droeg, die hij nooit betaalde. We were just kids - but nice kids. If I may say so myself. Jongens waren we - maar aardige jongens. Al zeg ik 't zelf. We are much wiser now, it's pitiable how prudent we've become - except for Bavink, who's gone crazy. We zijn nu veel wijzer, stakkerig wijs zijn we, behalve Bavink, die mal geworden is. We, that were the five of us. All other people were 'they.' We, dat waren wij, met z'n vijven. Alle andere mensen waren 'ze'. 'They,' who didn't understand anything and didn't see anything. 'Ze', die niets snapten en niets zagen. Except for a few 'good guys' we despised everyone. Op enkele 'goeie kerels' na werd iedereen door ons veracht. Very, very quietly I'll add 'and rightly' now, but I wouldn't want anybody to hear that. Heel stilletjes zeg ik daar nu bij: 'En niet ten onrechte', maar dat mag niemand horen. And Kees Ploeger talks of those bad men that put him on the wrong track. En Kees Ploeger praat van die rare kerels die 'm op de slechte weg brachten. But those were the days of our foolishness, when we were God's elect, even God himself. Maar toen waren we in de dagen van onze dwaasheid, de uitverkorenen Gods, ja God zelf. Bekker had a vague feeling he wanted to tear down all offices. Ploeger wanted his boss to pack the clocks himself, and he was going to watch with a cigar in his mouth, cursing out those guys that could never do anything right. Bekker had een vaag besef dat-ie alle kantoren wilde afbreken. Ploeger wilde zijn baas z'n eigen klokken laten inpakken en er bij gaan staan met een sigaar in z'n hoofd en vloeken op die kerels die nooit iets goed konden doen. We strongly agreed that we had to 'get out.' Out of what, and how? Actually all we did was talk, smoke, drink and read books. And Bavink was still Lien's boyfriend. Eéns waren we 't dat we 'eruit' moesten. Waaruit, en hoe? Eigenlijk deden we niets anders dan praten, roken, drinken en boeken lezen. Bavink vrijde bovendien nog met Lien. Looking back, I think we would have been great as rich guys, but 'having dough' was something we despised; only Hoyer soon changed his mind about that. Achteraf bedenk ik dat we een prachtig stel kerels geweest waren om rijk te zijn, maar 'centen hebben' vonden we verachtelijk; alleen Hoyer begon daar vrij gauw anders over te denken. Bavink just didn't understand why some guys got to ride in carriages, wear expensive overcoats and give orders to other guys who were not less clever than they themselves. You didn't yet see many cars at the time. Bavink begreep niet, waarom die kerels zo maar in rijtuigen mochten rijden en dure jassen aanhebben en andere lui commanderen, die niet stommer waren dan zij. Automobielen zag je toen nog zo niet. You could have bought a complete set of furniture if you could have remembered all that talk. There is already so much being written today. Een heel kamerameublement zou je daaraan hebben kunnen verdienen, als je dat allemaal had kunnen onthouden. Er wordt toch zoveel geschreven tegenwoordig. Often we were less talkative. Sitting on the edge of the sidewalk after midnight, just sitting on the pavement, we moodily gazed at the cobblestones, and from the cobblestones to the stars. Dikwijls waren we ook minder spraakzaam. Aan de rand van 't trottoir zaten we tot lang na twaalven, zo maar op de straatstenen, en waren weemoedig en tuurden naar de klinkers, en van de klinkers naar de sterren. And then Bekker would say he actually pitied his boss, and I was trying to write a poem, and Hoyer said he was getting up because the blue stone made him cold. En dan zei Bekker, dat-ie eigenlijk medelijden met z'n baas had en ik probeerde een gedicht te maken, en Hoyer zei dat-ie opstond want dat die blauwe steen zo optrok. And we thought it a waste to go to bed, man should actually be able to stay awake all the time. That was also something we were also going to change. Kees was asleep. En we vonden dat 't zonde was om naar bed te gaan, dat een mens eigenlijk altijd op moest kunnen blijven. Ook dat zouden we veranderen. Kees zat te slapen. In the early years of the Dutch Revolt, the revolutionaries (geuzen ) were not able to hold any territory, and some fled 'to the sea,' became pirates, who were supposed to prey on Spanish shipping. At first, they were tolerated in German and British harbors, but after a few years they were banned. In a lucky coincidence, at that time a small fleet on the coast near Rotterdam was contacted by local ferryman Koppelstok, who said that the city of Brill (Den Briel ) did not have its Spanish garrison, and then on April 1st 1572 Den Briel became the first liberated Dutch town, the first success of the Revolt. It's a beautiful story in elementary school history. I remember being told the men used a ship's mast to bash in one of the city's gates. Years ago, Sarah Popiel asked me to record a reading of the poem for her singing group, so they could familiarize themselves with the Dutch pronunciation. Reading the poem aloud, its rhythm came naturally, without special effort - but it's not how people in Holland normally speak. The minutemen are coming for Den Briel! In naam van Oranje, doet open de poort! Do not tarry but open the gate! Occupy the stronghold Den Briel! The clock has already struck the hour. Then your fate is already sealed. And taking an oath: "Death or Den Briel!" En zweren: "den dood of Den Briel!" "The town in their hands or otherwise death ..."
The decision for the first is taken! Or Simon de Rijk broke open the gate. And that way the minutemen entered Den Briel! "De stad in hun handen of anders den dood ..."
En zo kwam de geus in Den Briel! In reality, there were only two to three hundred men on the ships. Carel Fabritius was a painter of great promise who died in the explosion of the Delft municipal gunpowder depot of 1654. Vermeer may have been one of his students. The Fourth Anglo-Dutch Sea War was fought over Dutch support for the American Revolution, mainly the providing of gunpowder and loans. 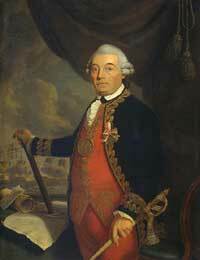 Rear Admiral Zoutman won a very small battle at the Doggersbank, but after that the Dutch fleet cowered in port. 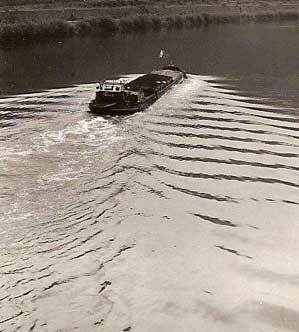 Zoutman and his men did not lack in courage, but economizing had left the fleet in no position to face the English. De Brit verliest de moed in deze hooge nood. De Batavier staat pal in 't aangezicht van de dood. En beukt en scheurt de macht van Engeland aan flenteren. Rips and rams England's might to smithereens. Uit vrees, dat Neêrlands moed de laatste doodssnik gaf. Fearful Holland's courage had given its last gasp. Zij komen, zien en gaan gerust weer naar beneden. But seeing all is well go back down below, at ease. It's in 16th-century Dutch with German-like declinations. There is something very strange to this song: children sailing to England, but England is closed and the key is broken? Wie gaat er mee naar England varen? Who's going to sail with me to England? The 'smartlap' 2 3 (song of pain) is the Dutch version of bad Country music. I usually sing this piece to clear my throat before recording. copyright © 1999-2006 Marco Schuffelen - All rights reserved. The sound files and original material on this page may not be published, broadcast, or redistributed.